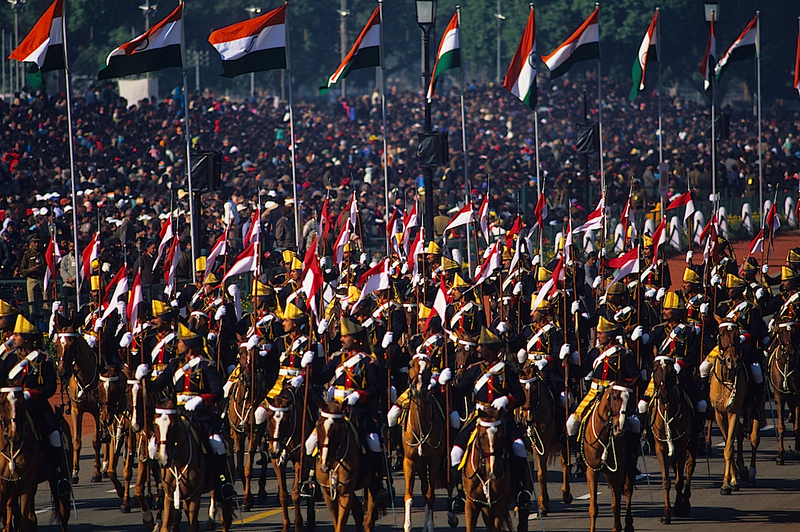 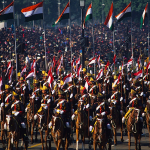 Horses, camels and elephants, armored vehicles, missiles and submarines, and thousands of representatives of the most powerful army in Asia, with swords and spears, turbans of all shapes, scarves, brass and drums, parade to celebrate the Republic in the capital of the homeland of Gandhi, the pacifist par excellence. 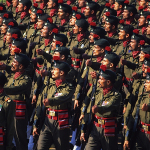 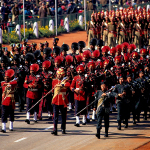 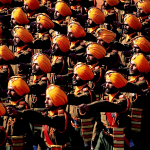 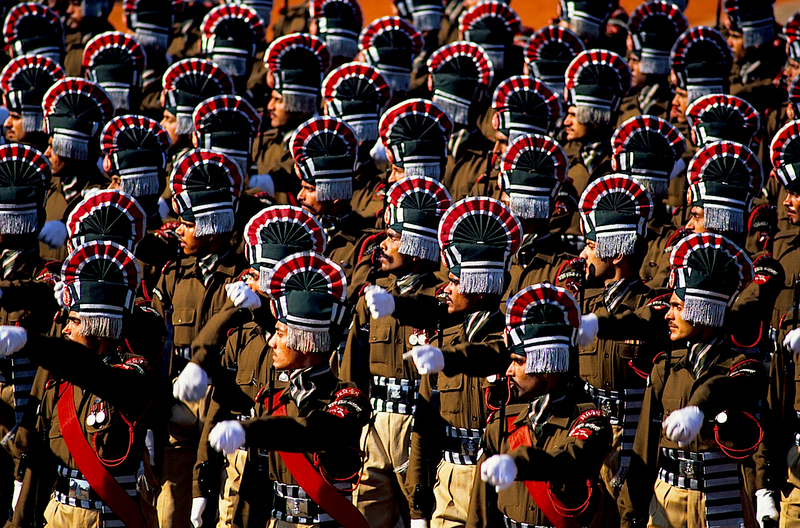 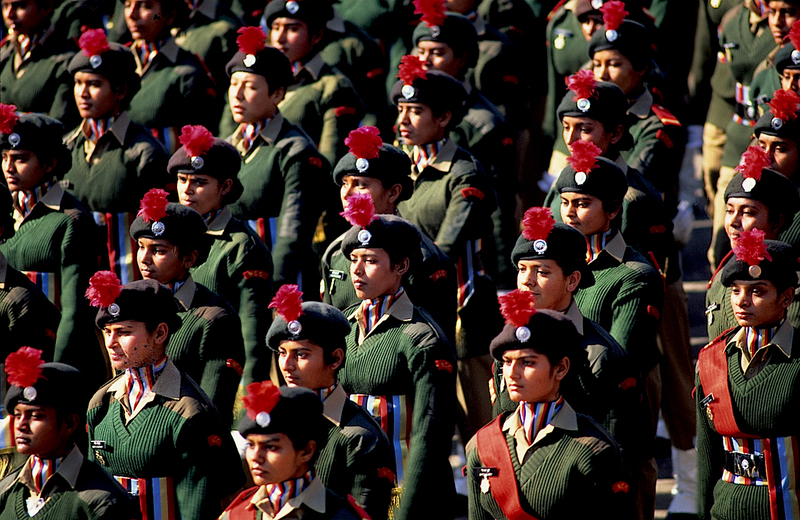 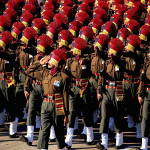 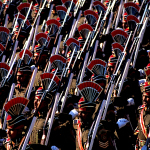 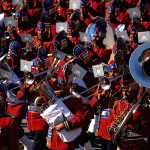 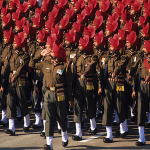 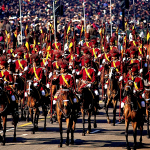 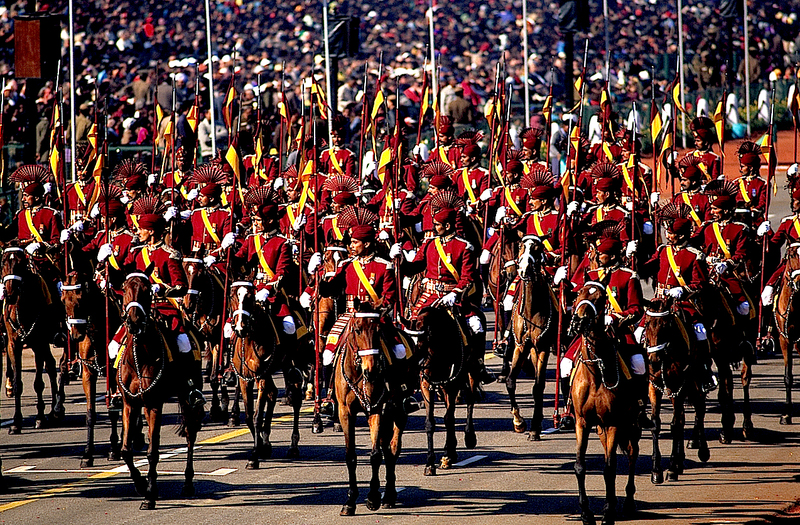 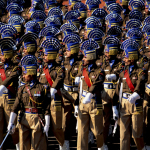 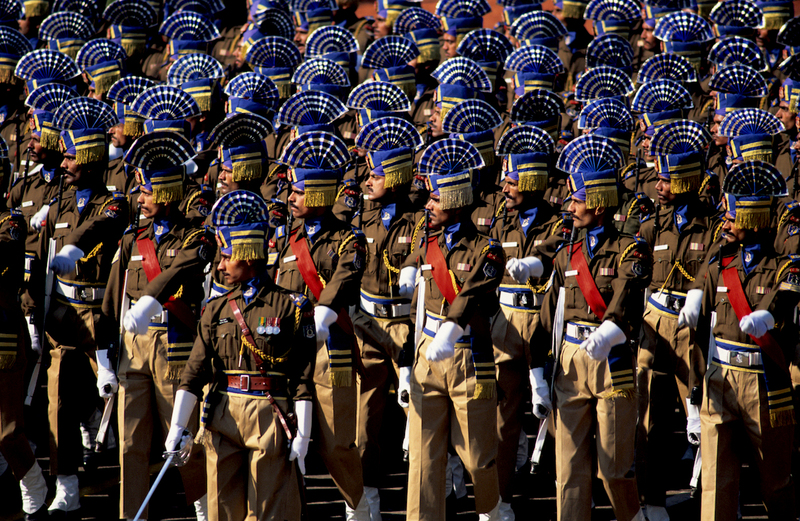 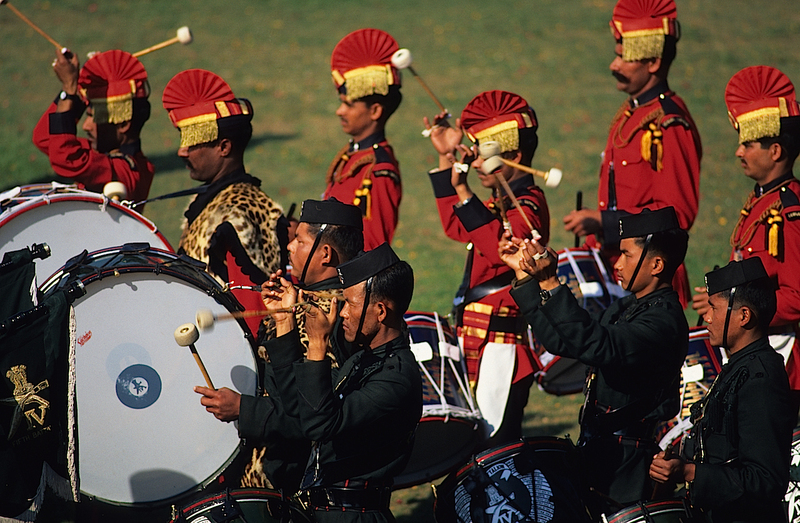 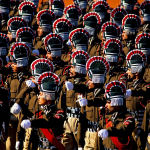 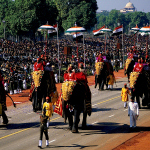 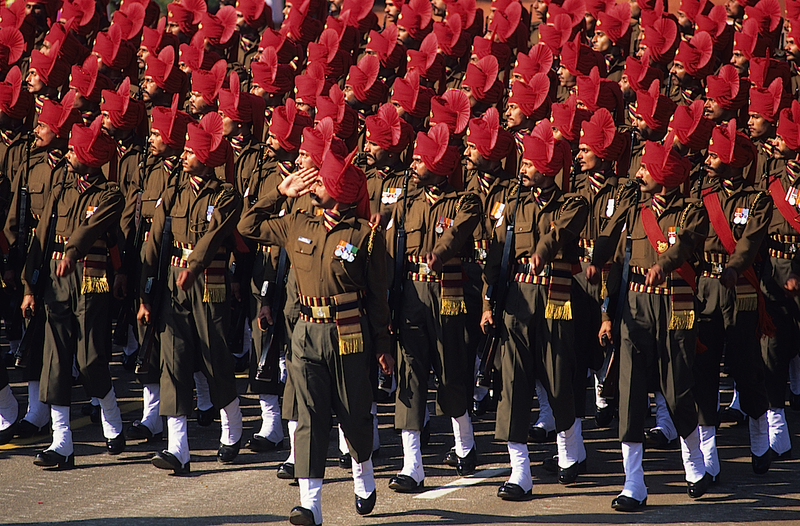 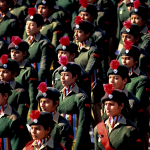 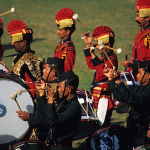 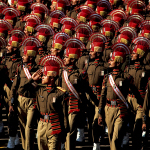 On the morning of January 26th, every year, in occasion of the Republic Day, a massive military parade is held in Delhi, followed by performances by folk groups and dancers and students of the best schools on the subcontinent. 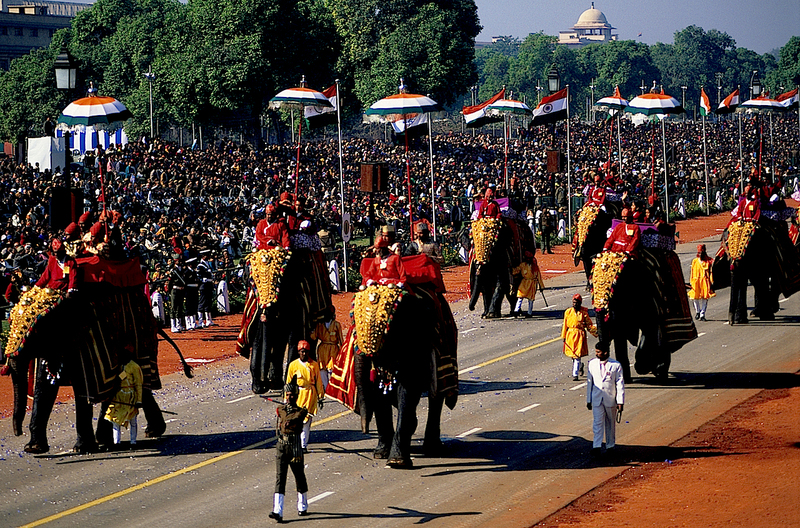 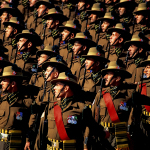 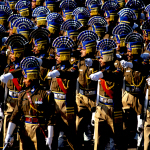 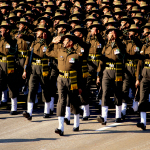 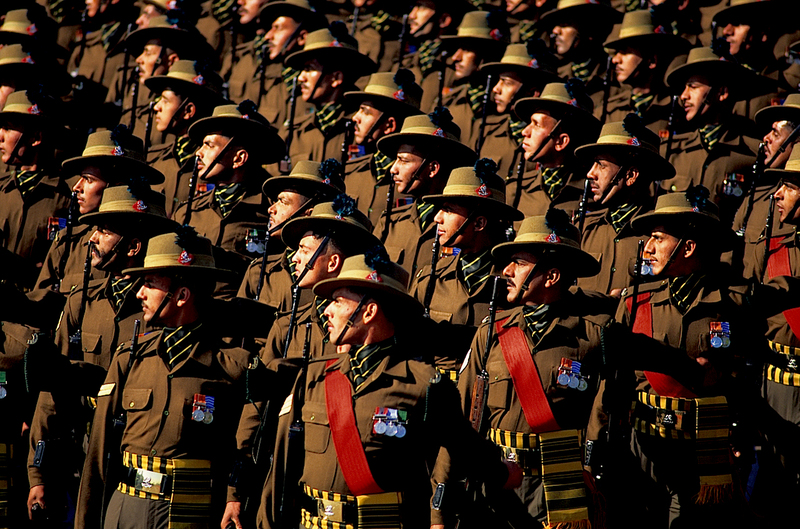 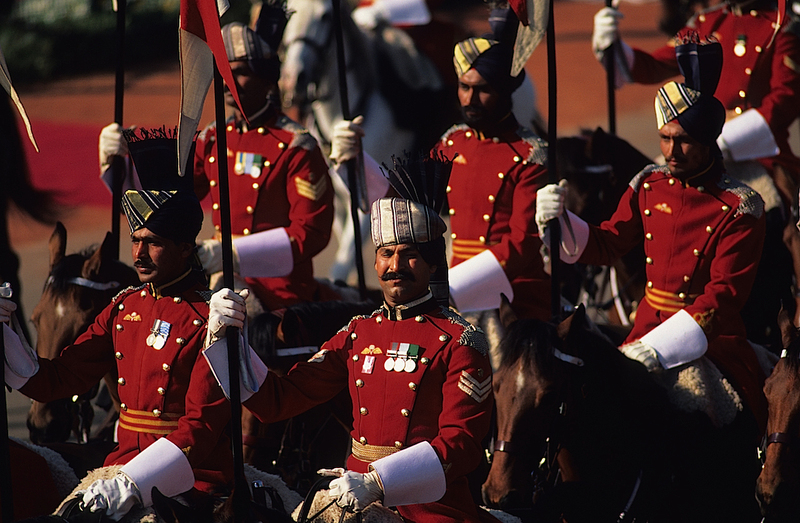 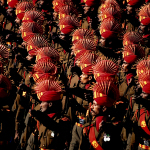 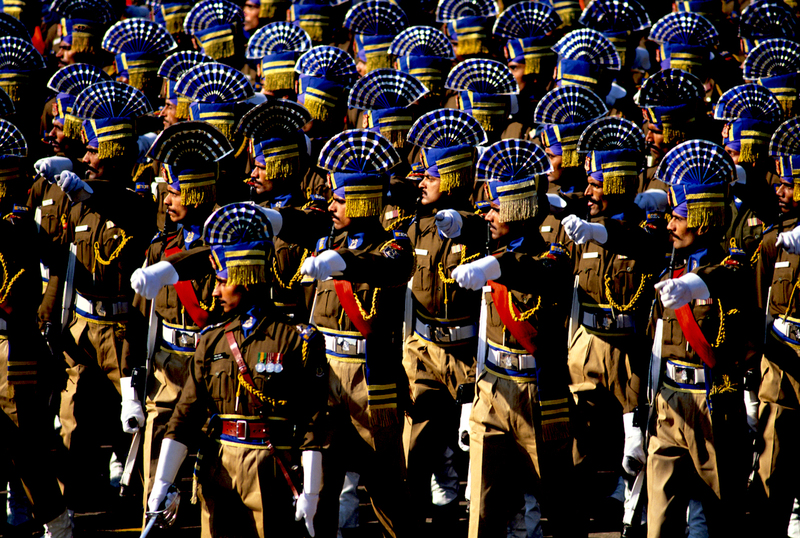 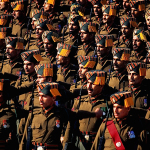 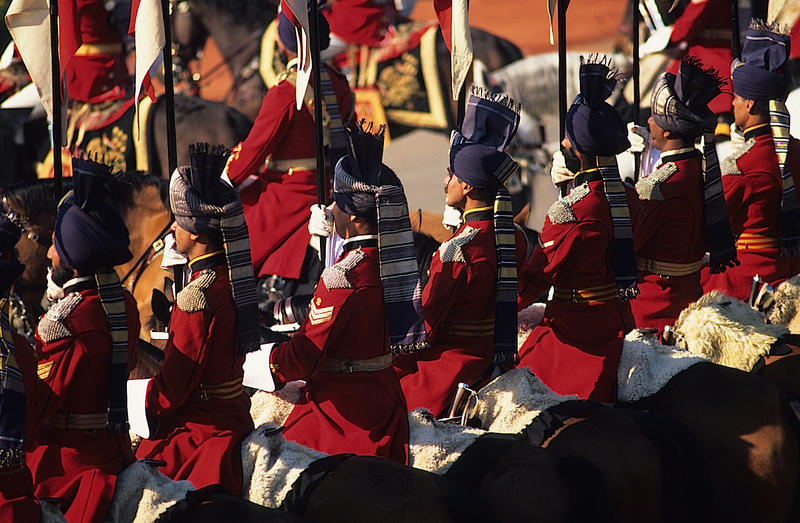 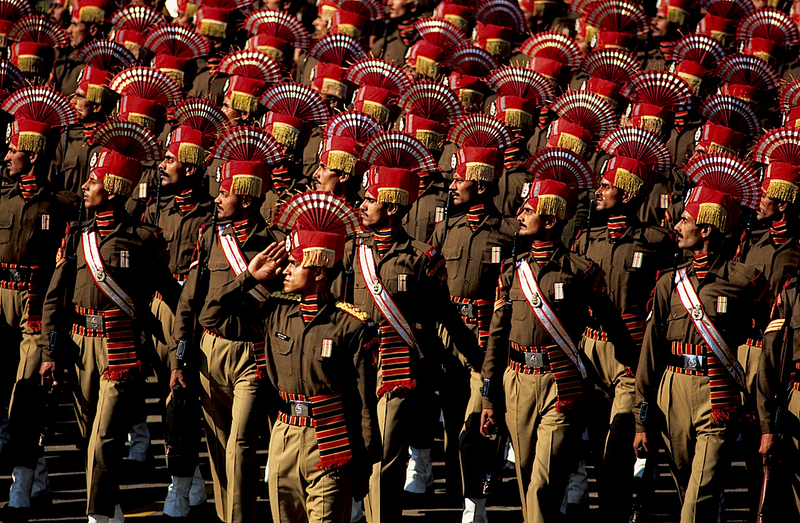 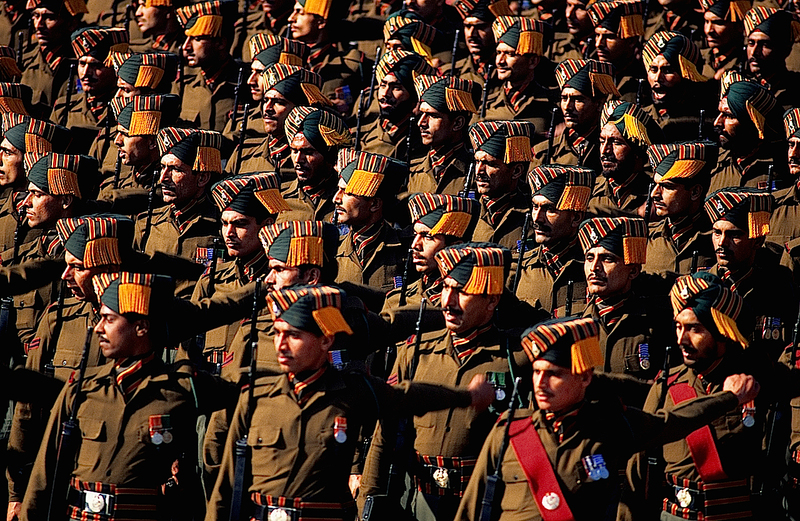 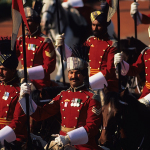 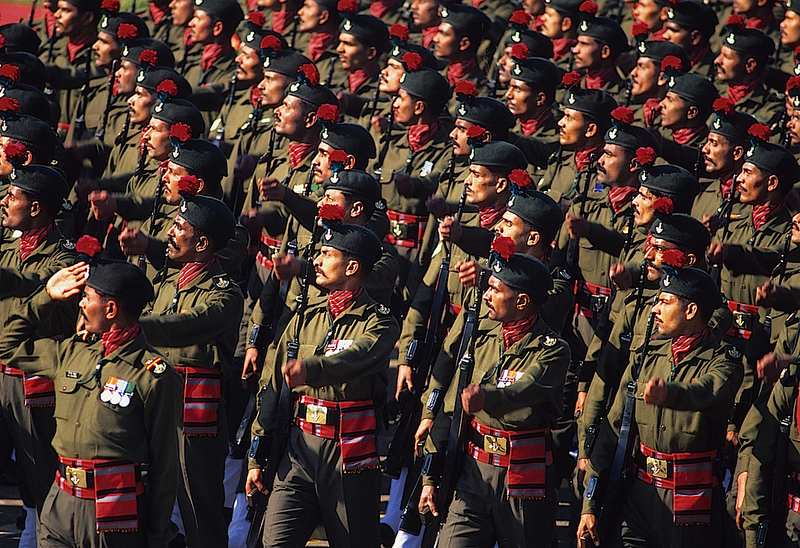 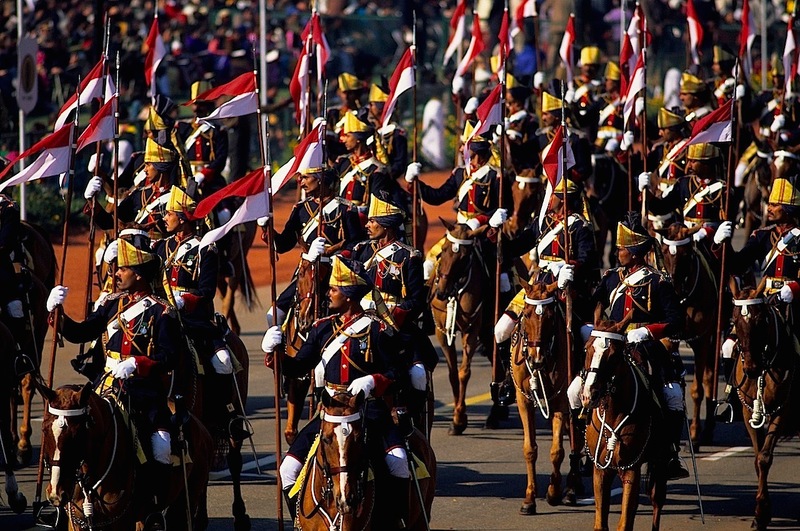 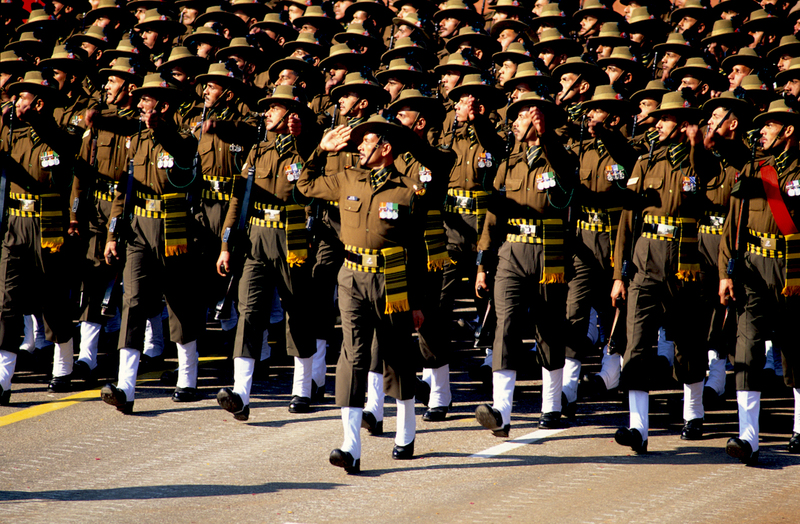 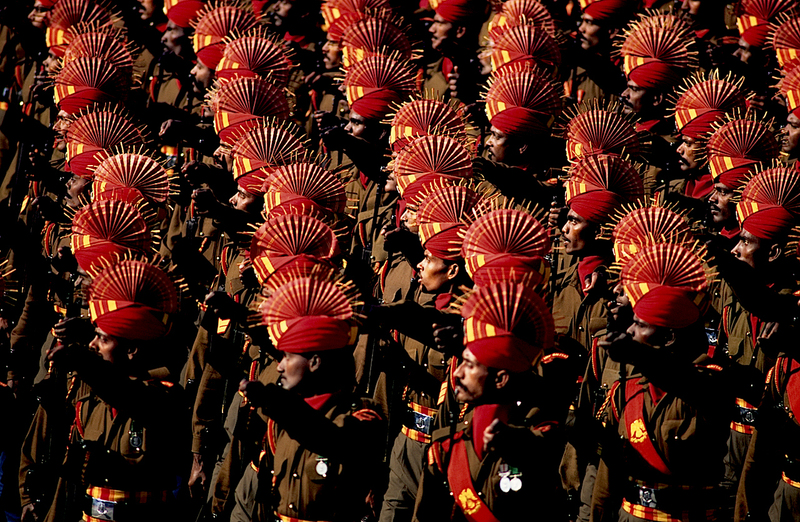 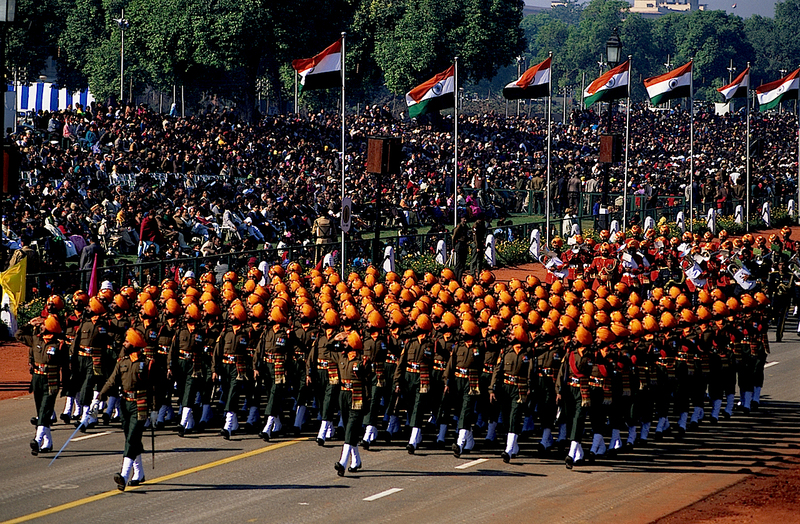 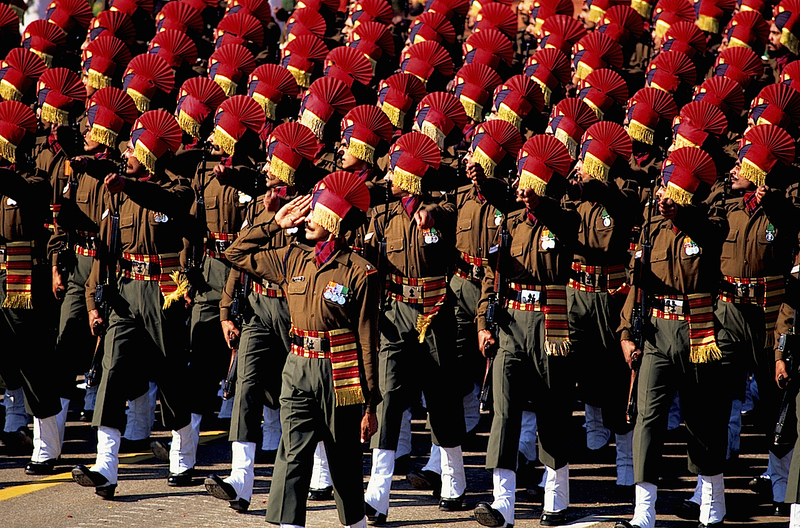 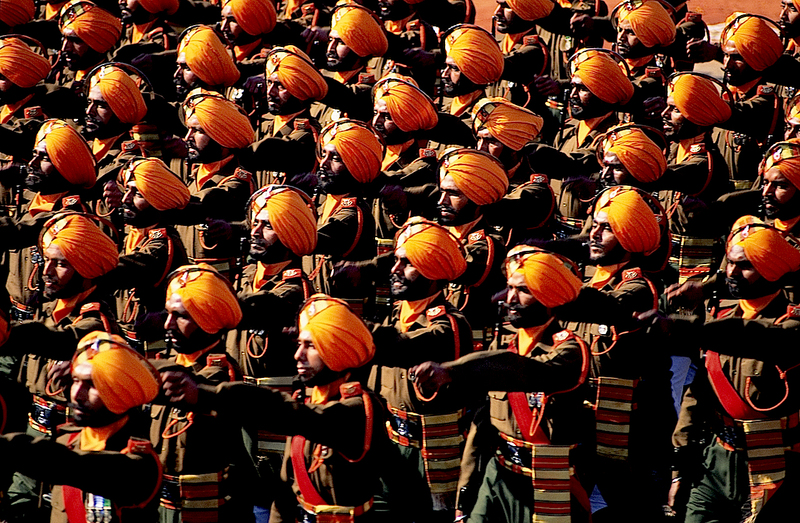 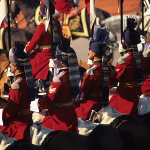 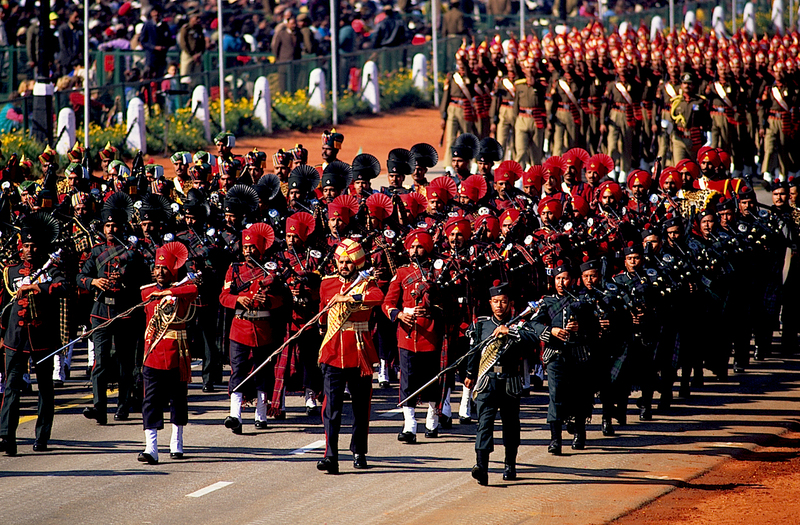 Special regiments of the Armed Forces in their dazzling uniforms, parade along the Rajpath, starting from the hill that houses the presidential residence, the Rashtrapati Bhavan, down to India Gate. 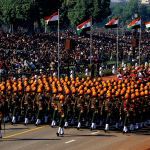 The ceremonial foresees that before the start of the parade the Prime Minister deposes a wreath on the tomb of the Unknown Soldier, which precedes two minutes of silence. 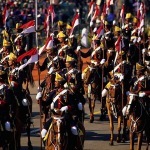 The head of the government then reaches the Presidential, the authorities’ and the guests’ platform, where the President of the Republic, who arrives escorted by two squadrons of the Presidential Guards on horseback, is welcomed. 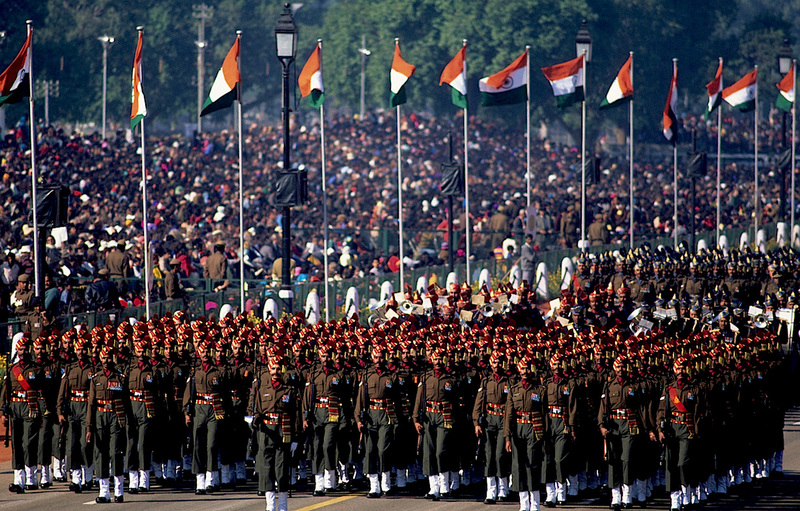 After delivery of the yearly honors of official decorations earned by militaries and students, the parade begins involving a division for each of the three armed forces, and the cadets of the academies, with bands and banners and all the paraphernalia required for occasions like this. 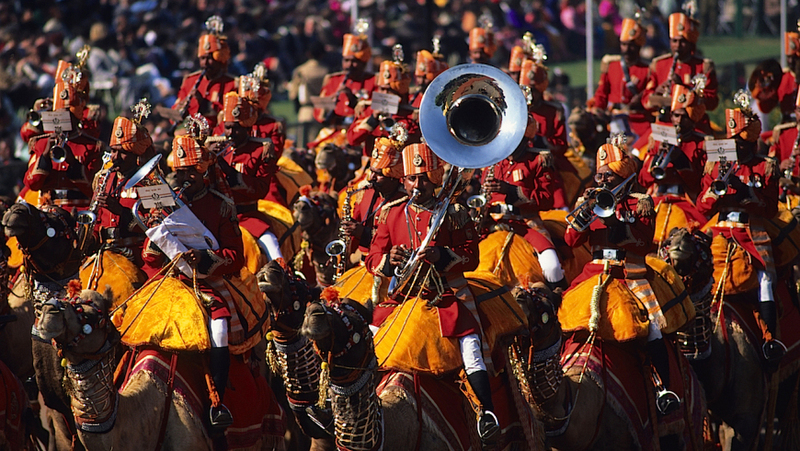 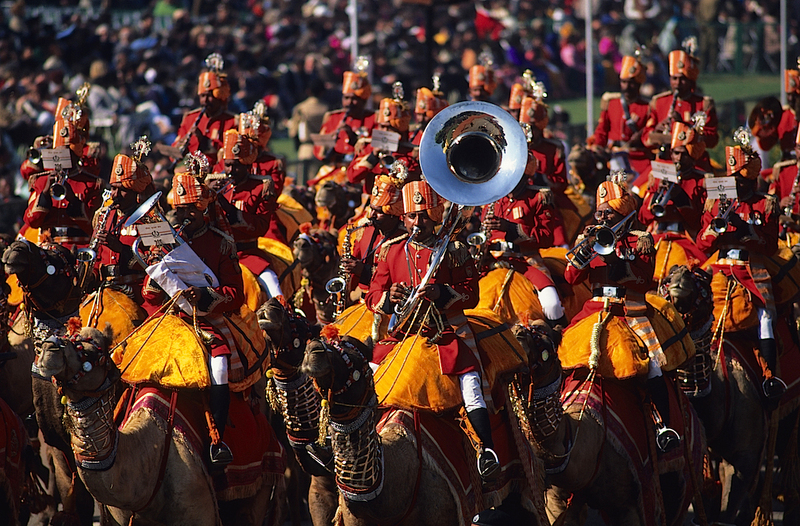 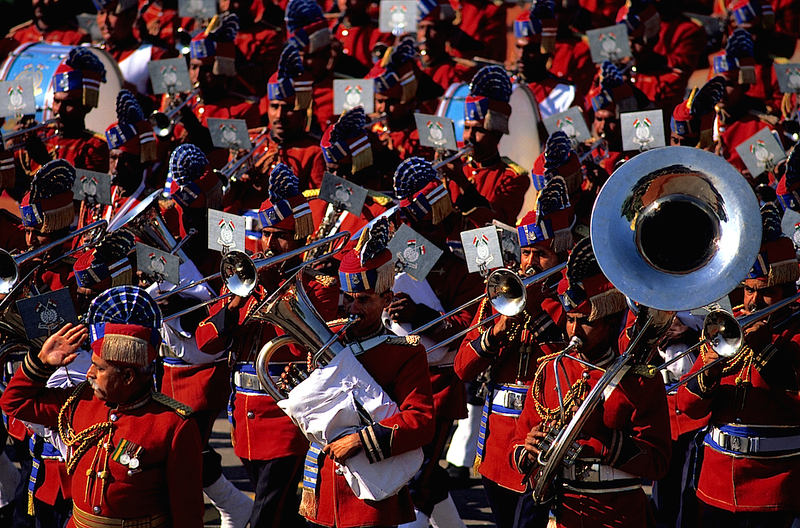 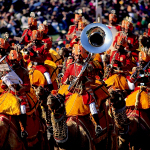 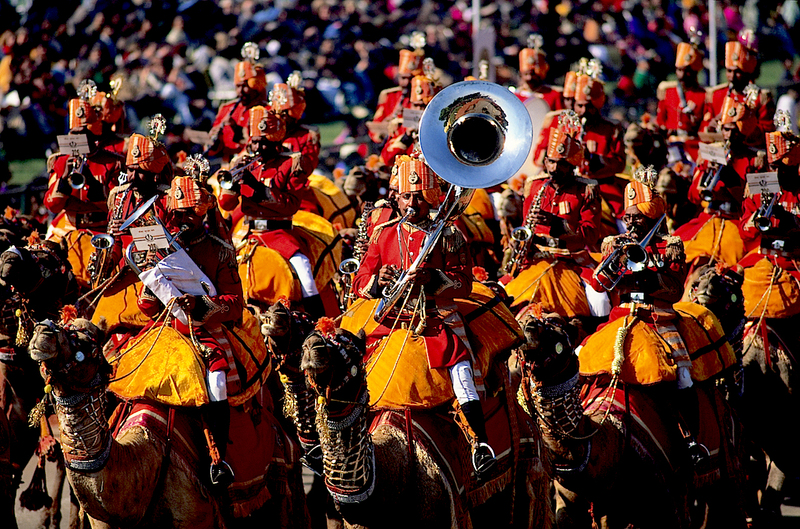 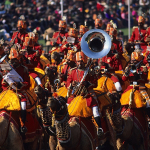 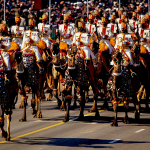 Never missing is the contingent mounted on camels, with a band, of the BSF (Border Security Force), unique in the world. 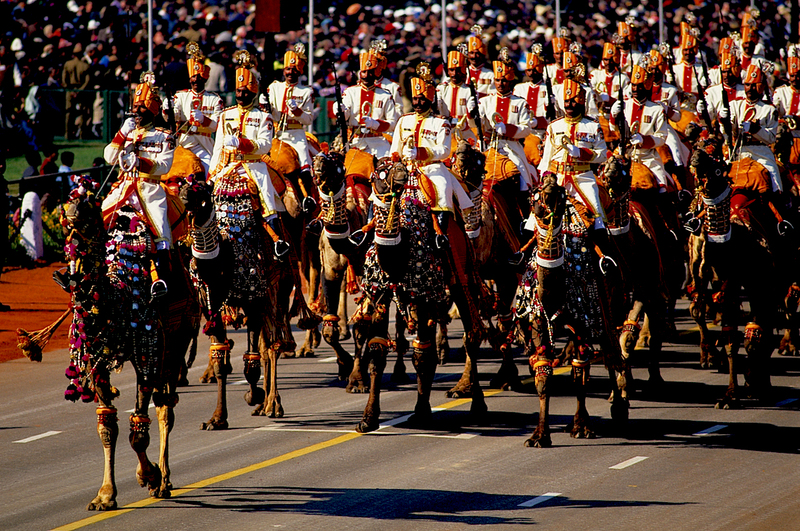 One can attend the parade, along the route, by accessing the stands after passing stringent security checks. 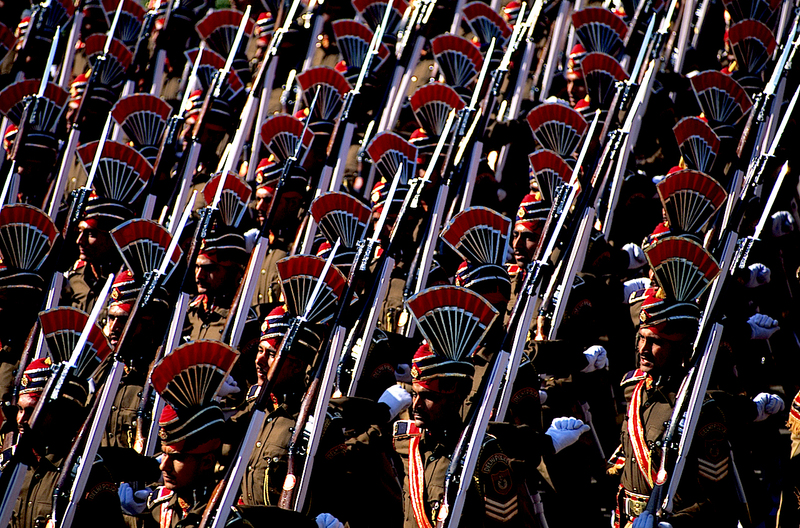 One is not allowed to photograph, exception made for the accredited photographers. 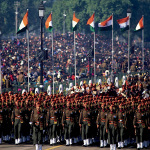 The images in this report were realized in 1995, when Nelson Mandela was the guest of honor at the event.